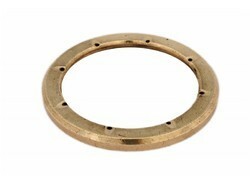 We are leading manufacturers and suppliers of thrust rings that are widely used in automobile parts and for mechanical seal, with pressure resistance. We provide a range of thrust rings that is made using and modern machinery and optimum quality raw material, sourced from the most trustworthy vendors of the industry. They are available in all standard shapes and sizes, at competitive pricing.